The Cloud, big data analytics, social networks, report automation and mobility are just some of the emerging technologies that are having a real impact on the business world. However, without the right human resources at your disposal, it would be virtually impossible to leverage some of these advancements. To be more precise, you need an experienced HR team, an effective workforce, and the right automated report conversion tools. Organizations that win in the current digital world usually focus on two critical things; taking care of their employees and taking care of their clients. Studies have shown that a significant number of companies are finding it difficult to hire and retain the best employees who can potentially help them reach the next step. This aspect has driven the demand for modern HR technology which can help organizations to manage their workforce more efficiently. Digital HR enterprise can be described as an encapsulation of cognitive enterprises (Intelligent apps, conversation UX and advance analytics), Cloud enterprise, as well as connected enterprise including IoT and Blockchain. Arguably, one of the best HR technological platforms is the cloud-oriented Human Capital Management solution (HCM), provided by Oracle. Businesses can use Oracle Fusion HCM cloud in a number of ways to improve their overall performance. This is because a typical digital work environment comprises the so-called multi-generational, socially and digitally connected, a tech-oriented workforce that strives to enhance the employee experience. A digital workforce is equipped with all the latest technologies including robotic process automation, cloud, mobility, machine learning, conversational artificial intelligence, analytics and insights, IoT as well as gamification, all of which are tailored toward enhancing employee and customer experience. Any company that intends to be successful in a highly competitive market must redraw its focus towards employee experience to boost production. With an increased market focus on Human Resource transformation and with hiring firms mainly focused on enhancing customer experience, HCM package vendors have their objectives clearly defined. In a world where an intuitive and positive customer experience is imperative, the competition for talent has reached a new whole new level. Organizations can use Oracle HCM Cloud for talent acquisition through learning, performance management, and development. This type of solution allows hiring managers to understand the best sources of both internal and external talent. It also implies that organizations can respond relatively fast to their current talent needs and execute effective talent strategies. What’s more, through BI tools, organizations can seamlessly streamline all sourcing and hiring processes so as to increase the quality of potential recruit and reduce hiring costs significantly. Apparently, all these factors will result in a streamlined global employee on-boarding. Oracle has always made it a priority to offer a robust platform for advanced AI, Chatbots, IoT, and analytics solution on top of HCM to boost user experience. It is also worth to mention that Oracle has already designed high-end adaptive intelligence into the recruiting cloud thus allowing the hiring managers to make better-informed decisions. What’s more, the chatbots help to make candidate engagement easier than ever. Finally, Oracle has equally entered into a meaningful and strategic partnership with UiPath to ensure the RPA space is equipped with best of breed solutions. As we previously mentioned, many organizations are finding it difficult to identify and retain the best talent. Oracle tends to solve this particular issue in a number of ways. 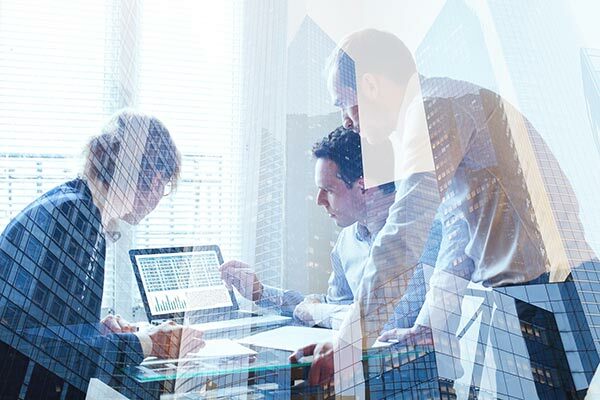 For instance, organizations can leverage Oracle HCM cloud to create a performance-based workspace where the management can define specific employee goals. Equally, organizations can create a connection between employee goals, organization strategy, and compensation plans. This functional model promotes the identification of certain competencies and skills needed for employees to make the grade. Oracle provides a unified platform which offers logical functions and configurations across the organization. At DataTerrain, we are a leading Oracle Cloud SaaS partner that offers virtually all types of Oracle HCM solutions. If you are looking to go beyond the standard cloud solutions and explore the digital transformation and enhance your employee experience, don’t hesitate and contact us online today.